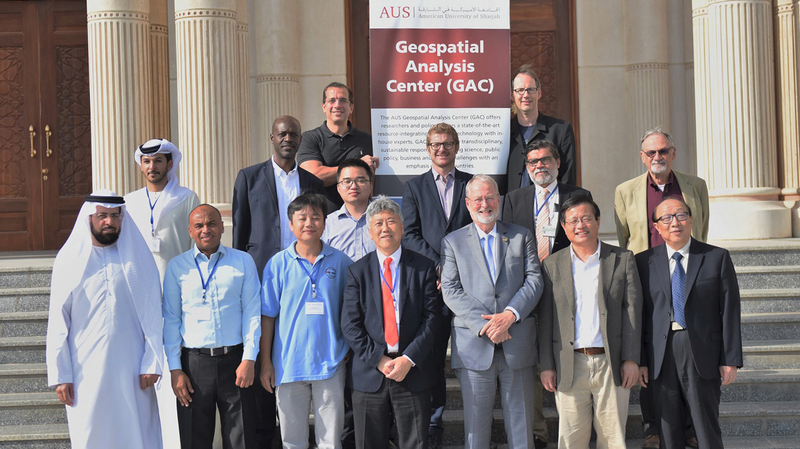 An international workshop on geospatial research in Gulf coastal environments featuring renowned researchers from around the world concluded, June 25, at American University of Sharjah (AUS). The two-day event was held in the Main Building on campus. The opening of the workshop was attended by Dr. Björn Kjerfve, Chancellor of AUS, who welcomed the delegates to AUS and briefed them about the university’s future course and plans of becoming the region’s premier research university. “We are delighted to have this group of renowned international scholars and influential local professionals in geospatial science and engineering participate in our workshop. The objectives are to present the latest research and development in this area in the context of coastal environments and identify opportunities for research (and the challenges) in UAE and the region. We hope that the discussions can help us strategize GAC research priorities to address pressing issues in UAE and the region. The workshop featured a number of sessions on important topics, including “Water Quality, Algal Blooms, and Oil Spills: From Research to Management and Decision Support;” “Remote Sensing of Inland and Coastal Regions;” “Satellite-Based Monitoring System to Address Relative Sea-Level Rise and Flood Hazards;” and “Water Resources Management, and Integrated Geodetic Sensors to Quantify Coastal Vulnerability,” among others. The AUS Geospatial Analysis Center offers researchers and policymakers a state-of-the-art resource-integrating advanced technology with in-house experts. The GAC facilitates transdisciplinary, sustainable responses to pressing science, public policy, business and design challenges with an emphasis on GCC countries.